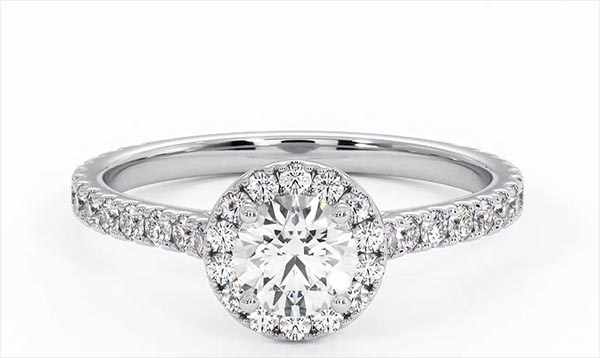 A luxurious classic, this beautiful diamond halo ring with sidestones is a perfect symbol of your love. It boasts an exquisite solitaire certified by GIA, the world's most highly respected diamond grading institution. Handcrafted in a sleek 18K white gold setting, it looks stunning and radiant on the hand.